Leaky Cauldron is the signature dining location in the Diagon Alley section of the Wizarding World of Harry Potter. Similar to the Three Broomsticks in the Hogsmeade section of the Wizarding World of Harry Potter, this restaurant will offer guests a place to rest and enjoy some unique food offerings from Harry Potter and friends. 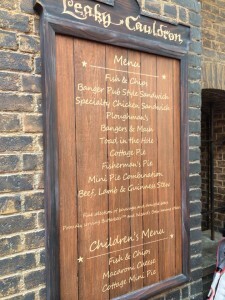 The Leaky Cauldron is a quick service restaurant serving lunch and dinner as well as breakfast to those guests who have booked a Harry Potter package. Breakfast is also available on a walk-up basis only if additional space is available after reservations have been accounted for. 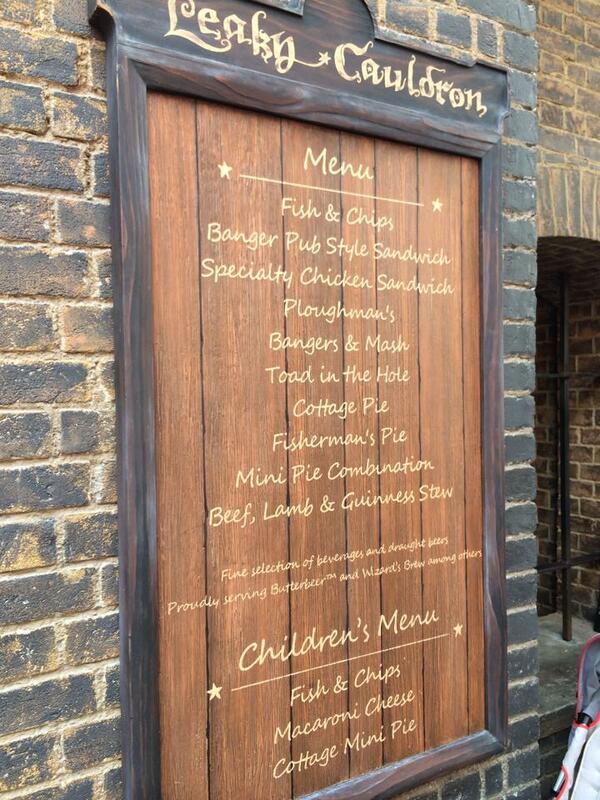 Leaky Cauldron serves favorite dishes from the Harry Potter series such as fish & chips, Banger Pub Style Sandwich, Specialty Chicken Sandwich, Bangers & Mash, Toad in the Hole, Cottage Pie, Fisherman’s Pie and Guinness Stew. 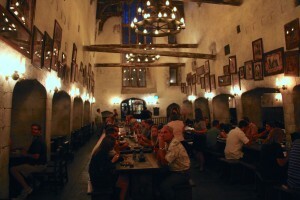 Leaky Cauldron is also a great place to grab a Butterbeer or Wizard’s Brew. Be sure to check out both the Leaky Cauldron in Diagon Alley and Three Broomsticks in Hogsmeade as their menus are a bit different. Guests who book a Harry Potter package can enjoy 1 breakfast per person in their party at each of these dining locations. For Harry Potter package guests, this is a great way to start the day at the Wizarding World after experiencing the early admission hour.